In the intense competition that GEC channels go through these days, it is easy for many to not notice the smaller channel's amongst the big guns like Colors, Zee TV and Star Plus. However, at times, the smaller channels do work wonders and a few shows turn out to be rating spinners. Talking about that, one such channel is And TV, where it struggles at times to have its shows getting numbers. But here is some good news for the viewers of the channel and especially of two shows, Daayan and Laal Ishq. 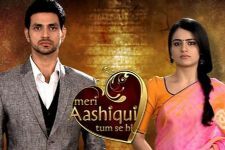 According to reports, both the above-mentioned shows are now all set to go tri-weekly instead of just airing bi-weekly. Yes! That's right. For the past few weeks, the GRP of And The has increased and crossed the 50 mark too. And hence to capitalize on that, apart from having a set of awaited upcoming shows, it will also have Laal Ishq and Daayan air on Fridays apart from Saturdays-Sundays. The same will begin mid-February. What do you think about the same! 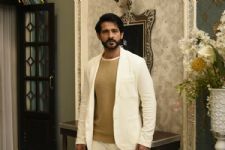 Hiten Tejwani bags his next BIG project! Actors who made headlines not for their chemistry, but for their FIGHTS! Zee TV's Ishq Subhan Allah to have a NEW ENTRY!